We are pleased to announce the next event for the Ka’nikonhrí:yo Gatherings, presented in partnership with the Onsite Gallery at OCAD U. On Thursday, November 16, Native Women in the Arts will host the Indigenous Tattoo Resurgence Panel with Holly Nordlum, Maya Jacobsen, and Jay Soule, moderated by Aylan Couchie. The talk will focus on revitalization, ancient traditions, design, health & safety, technique, and the importance of preservation. Holly will also be giving us a sneak peek of her up and coming documentary Tupik: Inuit Ink. 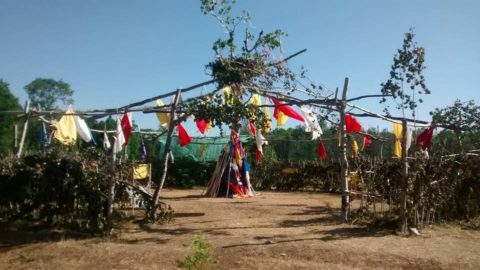 The Ka’nikonhrí:yo Gatherings connect cultural leaders to the Indigenous community in Toronto. Leaders discuss identity, wellness, language revitalization, traditional arts, ceremony, and history, as well as issues that face our communities such as climate change and the environment, decolonization, reconciliation, and sovereignty. Through monthly presentations, based on each leader’s own distinct nation and culture, the gatherings strengthen, empower, and support our community. Ka’nikonhrí:yo means to have a good mind in Kanien’kéha (Mohawk). Holly Mitotique Nordlum is an Inupiaq artist, born in Kotzebue, Alaska. Throughout her childhood Holly developed an appreciation for her culture, art, and life in the arctic. A couple of great art teachers throughout high school, (Susan Mason in Kotzebue, and Cindy Yarawamai at Hawaii Preparatory Academy), encouraged and inspired Holly. Her mother, Lucy, is also an artist and led her by example. Holly attended the University of Alaska, Anchorage and completed a Bachelor of Fine Art Degree in Graphic Design and Photography. While in school she also explored jewelry making, printmaking and sculpture. Holly opened Naniq Design soon after graduation in 2004. She works full-time as a graphic designer and artist and Traditional Tattooist. She lives in Anchorage. Maya Sialuk Jacobsen is Inuk from Qeqertarsuaq, Greenland, currently living in Svendborg, Denmark. 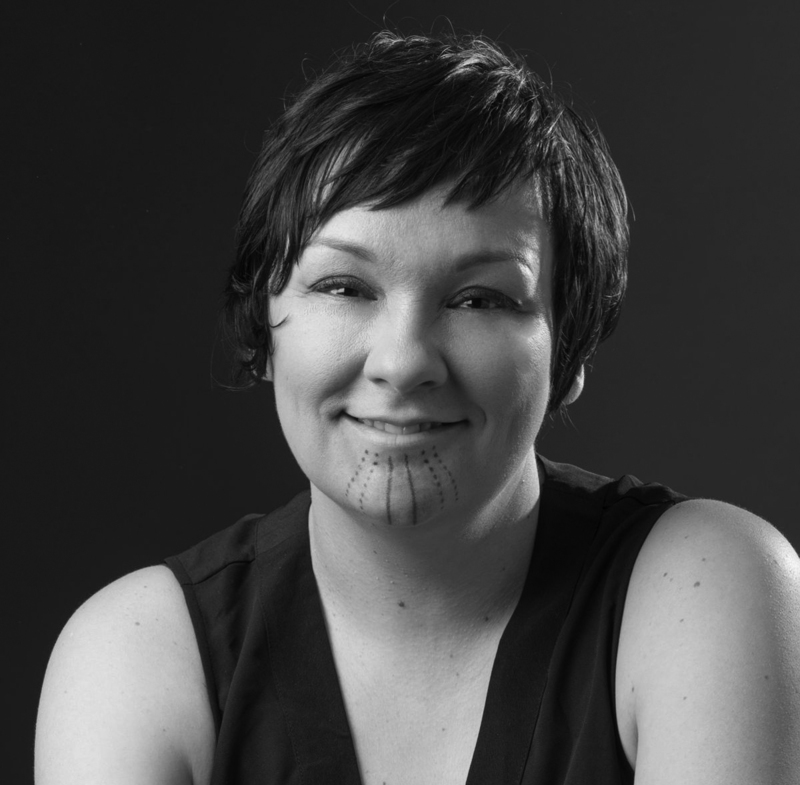 Maya Sialuk is a Culture Bearer, researcher and educator, with 16 years of tattoo experience. The first ten years of her career she practiced western tattooing, and the last six she has spent solely committed to Inuit Tattoo Traditions. She is co-owner of two tattoo shops in Oslo, Norway, and has 5 years experience from the Norwegian Tattoo Union, negotiating legislation with the authorities in Norway on health and safety in tattooing. 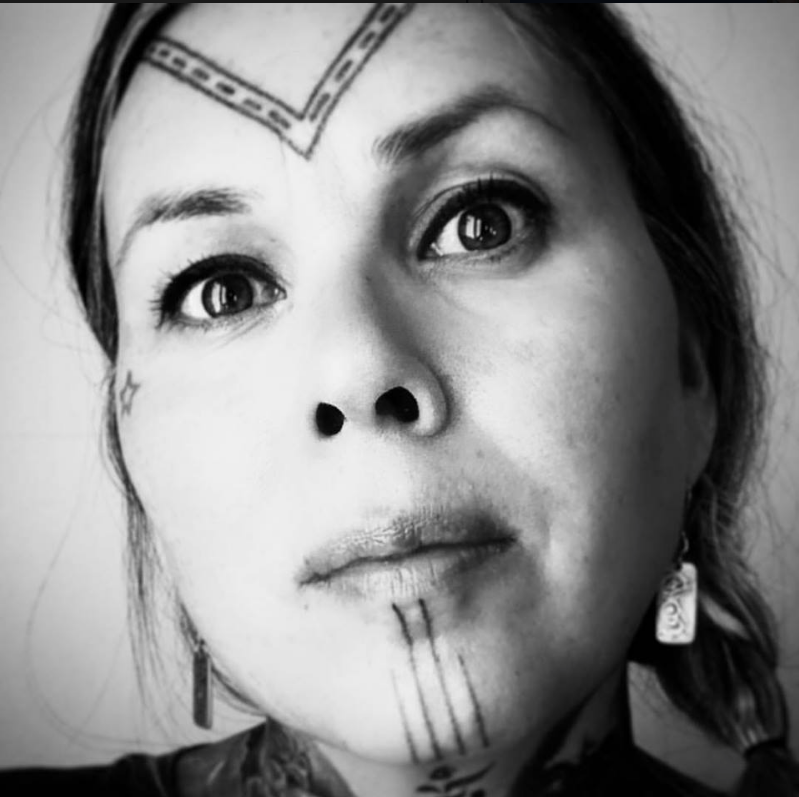 When Maya is not tattooing in her home studio, she is travelling in Inuit countries and teaching traditional tattoo methods to Inuit women, or working with research and culture preservation. Splitting his time between several styles of artistic work from tattooing, body piercing, painting, sculpting, installation work, music as well as his line of CHIPPEWAR war clothing. From spring to fall can find him on the Pow Wow trail selling his art, clothing and other. He has been working as a professional body piercer for the last 17 years and tattooing for the last 13 year in professional shops in the USA, England, Australia and Canada. In 2005, Jay established his company Armoured Soul Tattoos – Piercing & Art Gallery currently located 721 Queen St. West, Unit B Toronto. The studio’s walls are covered with his painting and carry his clothing line and a huge selection of piercing jewelry. You can visit www.chippewar.com to see his artwork and clothing, go to www.armouredsoultattoos.com to see his Tattoo & Piercing portfolio or book an appointment in this Toronto Studio. Aylan Couchie is an interdisciplinary Anishinaabe artist and writer hailing from Nipissing (Nbisiing) First Nation in Northern Ontario. Though now based in Toronto, she received her BFA with a major in sculpture from NSCAD University in Halifax, Nova Scotia. She is currently an MFA Candidate in the Interdisciplinary Art, Media and Design program at OCAD University where she is pursuing her graduate studies with a focus on Indigenous monument and public art. Her work explores ideas of colonialism, land and First Nation realities and histories from her Two­-Spirit, feminist perspective. While serving as director of marketing for The Front Room Gallery, she initiated and lead Barrie’s “Who New? !” Downtown Art Crawls as well as several other events in partnership with local organizations. She’s community­ driven and asserts an Indigenous presence on arts advisory committees and juries. She’s been the recipient of several awards including “Outstanding Student Achievement in Contemporary Sculpture” through the International Sculpture Center and the Inaugural Barbara Laronde Award from Native Women in the Arts. Most recently, Aylan won a Premier’s Award through Ontario Colleges which allowed her to create and establish a 5 year scholarship in support of single Indigenous mothers excelling in a post­-secondary program at Georgian College. Onsite Gallery, OCAD University’s professional gallery and experimental curatorial platform for art, design and digital media, fosters social and cultural transformations. Onsite Gallery serves the OCAD University community and the general public. 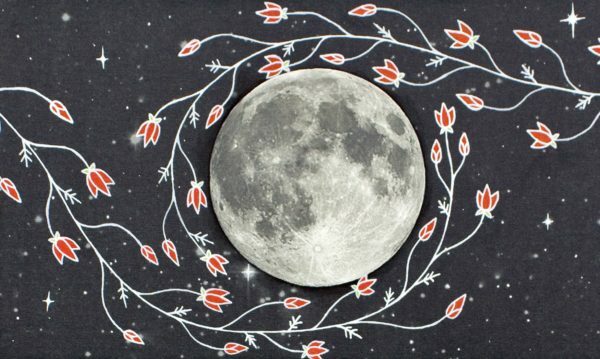 Native Women in the Arts (NWIA) is Canada’s leading arts organization for Indigenous women artists working at the intersection of traditional and contemporary practices. NWIA supports multi-disciplinary artistic expression by connecting, training and presenting emerging, mid-career and established female artists whose work reflects a commitment to art, culture, community, and the advancement of Indigenous people. NWIA serves as a site of artistic exchange, encouraging dialogue between artists and audiences about social, cultural and political issues and their relationship to artistic expression. Though focused on the development of Indigenous women as creators, our projects are inclusive of youth, men and two-spirited artists, and our programming connects to a diverse participant and audience base, predominantly across Ontario. We are currently seeking a dynamic professional with proven experience in indigenous arts to become the creative and administrative lead of the organization as Artistic Director. This is an exciting leadership position, involving directing artistic and community projects, management of a small team of staff, leading grant writing and reporting, working with a dedicated Board of Directors, and allows for creative and professional growth including occasional travel in-province. This position offers a starting annual salary of $40,000, with 4 weeks paid vacation, sick days and cultural leave, is 4-days (32 hours) a week with some flexibility in terms of hours worked in-office. Strong leadership, organizational and communication skills: highly detailed; self-motivated. Experience in managing and producing community-engaged arts projects or programs. Proven success in grant writing, with an understanding of the current arts funding climate. Fundraising experience will be considered an asset. Demonstrated experience managing budgets, including budget preparation, forecasting and reporting to funders. Demonstrated project management, administration and organizational skills. Excellent verbal and written communication skills, and strong computer skills (Excel, Word) required. Experience working with volunteer boards and committees. Programs and coordinates all aspects of Native Women in the Arts’ projects: performances, concerts, exhibits, publications, symposiums, and community development projects. Identifies opportunities and prepares grant applications for funding to all levels of government, these include but not limited to the Ontario Arts Council, Toronto Arts Council, and Canadian Heritage. Prepares final reports and financial information associated with government grants. Works with the Board of Directors and consultants to develop fundraising strategies for individual donors, foundations, corporate sponsors, and special events. Prepares proposals for funding to corporations, foundations, and other sources of sponsorship. Manages all seasonal and contractual staff, delegating responsibilities in areas related to their employment contract with the Board of Directors. Oversees, with oversight and support from the Policy and Operations Committee, hiring of new staff, employee reviews, exit interviews if requested, and termination of employees. Represents NWIA to funders, arts presenters, partners, corporations, individuals, government, foundations, and sponsors, with support from the Board of Directors. Promotes and publicizes all projects, events and activities at NWIA with the assistance of the Events Committee and NWIA Staff. Prepares all project and operating budgets, and final reporting, including annual audit with assistance from the Board and Bookkeeper. Qualified candidates should submit a detailed resume and cover letter no later than October 23, 2017 at 5:00 pm EST to info@nwia.ca. Flexible start date, with a desired start in November 2017. No phone inquiries, please. Due to the high-level of applications, only candidates selected for an interview will be contacted. We encourage applications from First Nations, Métis and Inuit persons, and members of diverse cultural communities and LGBT2Q-identified persons. Native Women in the Arts, in partnership with IndigenEd & Centre for Indigenous Theatre, is pleased to present Women’s Hand Drumming. This series of women’s hand-drumming sessions are intended as practice and learning spaces for emerging and novice drummers. 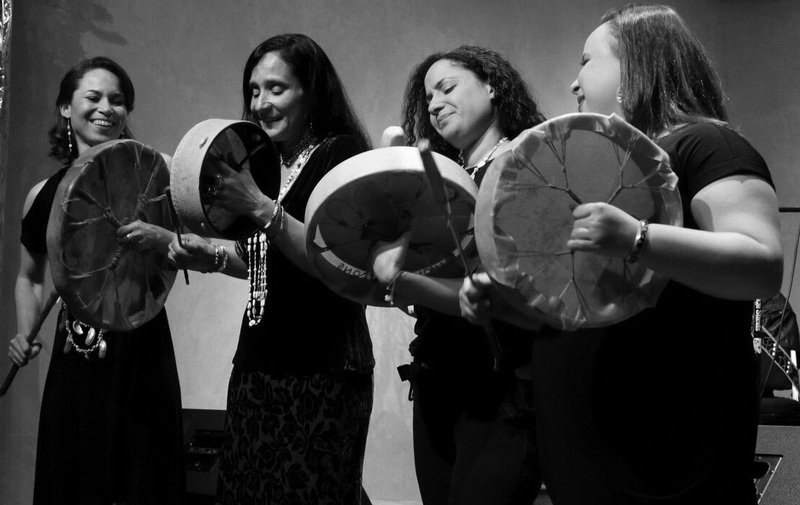 Origin stories of songs, protocols, leading songs, and cultural contexts will be integrated into the teaching of each song & participants are encouraged to share their knowledge. These sessions aim to respect a diversity of teachings & beliefs – all participants are asked to attend with this intention in mind. These sessions are open to all female-identified and non-binary individuals. A light snack and refreshments will be provided. Children are always welcome. Please note that childcare is not provided. Sessions are DROP-IN & FREE though registration is requested. Please send your name and email address to drumming@nwia.ca, along with any questions you may have. There is no deadline for registration, and this circle will invite new members continuously. 1. Gather and empower female identified people through music and ceremony. 2. Revitalize the traditional principles of gender equality mechanisms and spiritual practices and recognize rematriation in progress as a way to decolonize. Aqua Nibii Waawaaskone (Water Flower) is a hand-drummer and singer/songwriter. Aqua crafts music reflecting her deep respect for Indigenous traditions, and determination to thrive as an artist, Métis woman of Ojibwe descent. On one hand her process is one of purposeful reflection and healing, translating life’s challenges into melody and verse to uplift herself and others. On the other, she is mindful of remaining open to universal energies, allowing spirit to channel music through her, unfiltered, with surprising, powerful results. Aqua works to empower youth and women, is a longstanding facilitator of community drum circles, a partner with several Indigenous organizations, regularly collaborates with like-minded artists, and facilitates cultural workshops across Ontario. Along with learning and singing drum songs, each session will focus on one or more topics – indigenous teachings & perspectives will be shared within each. To encourage giving the participants more experience, each facilitator will choose a helper each session. It is with both appreciation and sadness that Native Women in the Arts announces the departure of our Artistic Director, Erika Iserhoff. Erika has led the organization for over 5 years, and greatly contributed to its growth and dynamism. Erika departs NWIA to enter a new and exciting position as Grants Facilitator for the recently launched Indigenous Culture Fund. In her time at NWIA, Erika has overseen the financial growth of the organization by connecting with a range of new partners and funders. This has allowed the organization to grow our team of staff and offer new and exciting artistic and community projects. With her leadership, NWIA built new connections to communities in Northern Ontario, assisted in launching the annual Barbara Laronde Award for emerging artists, presented a new cultural series that connect artistic minds to cultural teachers, and grown the Kwe Performance Series into a meaningful platform to showcase some of our most exceptional Indigenous talent and connect them to schools, under-serviced communities, and Toronto audiences and organizations. 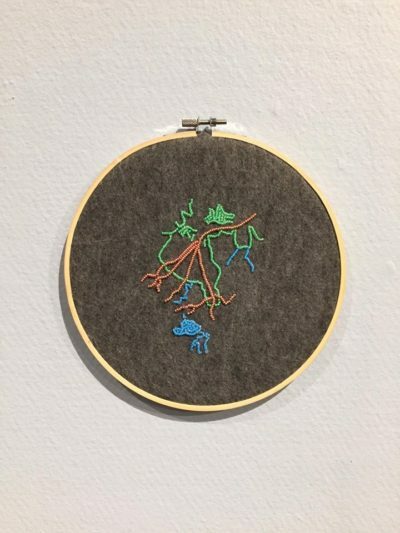 In this final year, she worked with NWIA’s Mentor, Denise Bolduc, to help produce Tributaries that opened this year’s Luminato Festival, was named the emerging laureate of the Ontario Art Council’s Indigenous Arts Award, and moved NWIA into it’s new home at the Artscape Youngplace in the former Shaw Street School. The Board and Staff at NWIA send thanks to Erika for her dedication to this organization and to Indigenous artists, and for being a well-loved leader and manager. She will be missed, but we know that our relationship will continue as she moves into this exciting new position at the Ontario Arts Council. Native Women in the Arts is currently seeking applications for the position of Artistic Director, and is accepting resumes to info@nwia.ca by October 23rd, 2017. Please visit www.nwia.ca and find us on Facebook for the job posting. Due to the volume of applicants, please direct inquiries to info@nwia.ca exclusively. 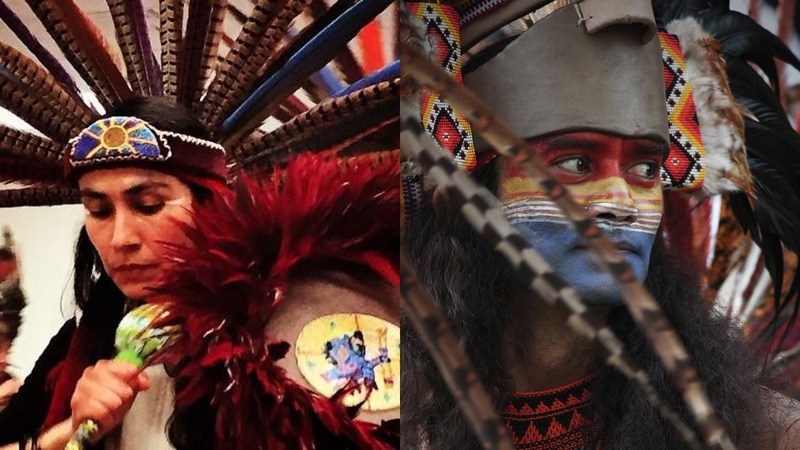 We are pleased to announce the next workshop for the Ka’nikonhrí:yo Gatherings: Aztec Dancing with Mapuchedub and Jesus Mora at the Centre for Indigenous Theatre. The Ka’nikonhrí:yo Gatherings connects cultural leaders to the Indigenous community in Toronto. Leaders who discuss identity, wellness, language revitalization, traditional arts, ceremony, and history, as well as issues that face our communities such as climate change and the environment, decolonization, reconciliation, and sovereignty. Through monthly presentations, based on each leader’s own distinct nation and culture, the gatherings strengthen, empower, and support our community members. Ka’nikonhrí:yo means to have a good mind in Kanien’kéha (Mohawk). Join us on Saturday, September 23 for the Aztec dance workshop with re-known dancers Mapuchedub and Jesus Mora. Together they will lead a workshop that includes movement, teachings and traditional music. This workshop is open to all members of the community to attend. They have been working within the arts community for many years to bring their culture and traditions from Mexico to the community in Toronto. Aztec dance is a traditional pre-Hispanic dance from Mexico. Aztec dance is a connection with mother earth and the universe, it is a prayer in movement. During this workshop people will be introduced to this ancient practice and be able to gain full knowledge of the dance. Participants will take with them the richness of Aztec/Mexica vision through this artistic discipline. This workshop is a representation of the eagle and the condor coming together through movement of the body and spirit. Mapuchedub is Toronto born of Mapuche and Quechua ancestry. She is a mother of two children and they are her inspiration in life. Mapuchedub is recognized for her Aztec dance and has performed and facilitated workshops at various events throughout Toronto, Ontario and Canada. In the mid 90’s she travelled to south America to reconnect to her roots. This journey paved the foundation of her future work with Indigenous people worldwide. 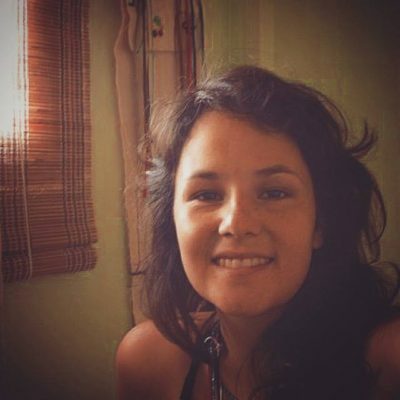 She is the creator and writer of an online comic about the connections between African and Indigenous communities in Bolivia and the sacred medicine; Coca. 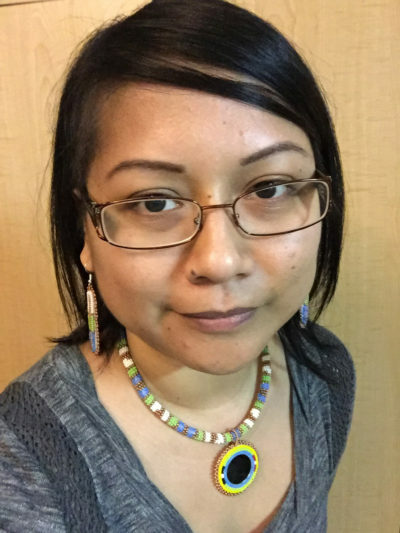 She has contributed photography and design of IR: Indigenous Resistance and The Fire This Time videos: Journey to Sosolakam, I love da Future, La Revoluta,and the imagineNATIVE award winning multimedia piece Dub Navigation. 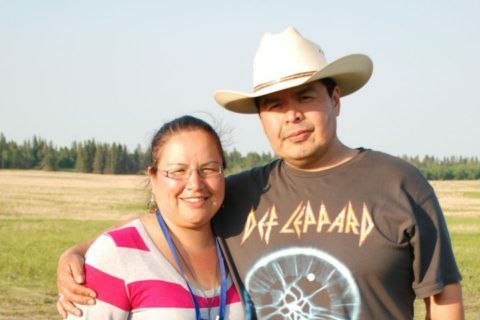 She is a member of 7 Directions; a land based project which supports Indigenous cultural renewal. She is an actor and member of The Beautiful Canoe Collective, working on their future theatre production based on birth stories. The Beautiful Canoe Collective performed and facilitated workshops at Trent University 41st Annual Elder and Traditional gathering. Jesus Mora was born in 1971 in a suburb near Mexico City. In 1997 he moved to Toronto and studied at Ontario College of Art in the Drawing & Painting program, where is now lives and works as a multidisciplinary artist. As a teenager, Mora was involved in theatre and has been a part of the performance community since 2003. In 2005 Mora became a member of the Mexica (Aztec) Dance group in Toronto where they have been invited to perform at pow wows, presentations, celebrations, ceremonies and festivals in Mexico, Ontario, Quebec and Vancouver. Mora has engaged with the Aztec Dance Circle as a dancer, drummer and the conch player (prehispanic instrument that represents the element of wind). Native Women in the Arts is thrilled to announce the winner of the third annual Barbara Laronde Award: Lucille Atlookan. 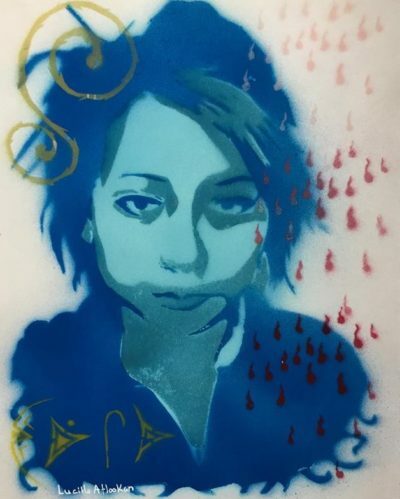 Lucille Atlookan is an Anishnaabe emerging artist and university student from Eabametoong First Nation who resides in Thunder Bay, Ontario. Atlookan is a multi-disciplinary artist who creates work in a variety of media such as beadwork, sculpture, and illustration. 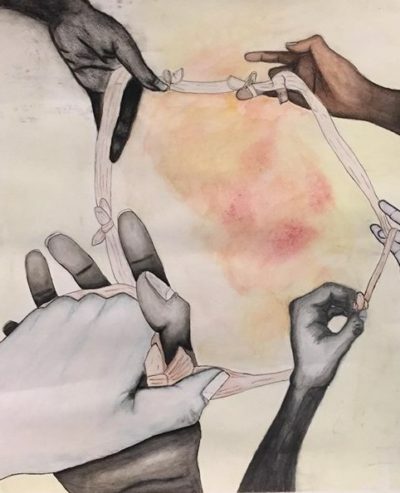 Atlookan is in her second year of the Honours Bachelor of Fine Arts (Visual Arts Major) Bachelor of Education, a double degree program, at Lakehead University. Her goals are to become a professional practicing artist and Indigenous language instructor and to continue her involvement in arts education for Indigenous youth. NWIA is excited to support the continuing creative and professional achievements of Lucille Atlookan with a $1500 award, which will be presented with Barbara Laronde in Temagami on July 16th at 1pm, during the Deepwater Music Festival on the waterfront main stage. The Barbara Laronde Award was created to honour the legacy of NWIA founder Sandra Laronde and her vision and commitment to Indigenous artists. It celebrates and acknowledges the career of one outstanding, emerging, Northern-Ontario based Indigenous female artist, recognizing the geographic and economic barriers that many northern artists face. Sandra Laronde’s 19 years of leadership at NWIA paved the way for many Indigenous artists at various stages of their careers. The award is named after her mother, Barbara, who has been the backbone of her family and a leader in the Northern Ontario community, Temagami First Nation. Barbara inspired her children to be creative and entrepreneurial, and it is with this spirit that NWIA launched this award in 2015. Hosted by the Temagami Artist Collective, the Deepwater Music Festival takes place this year July 15-16, 2017, at Temagami’s waterfront. This year’s lineup includes Wayne Potts, Duane Paul, John Shymko, Sam Depatie, Mimi O’Bonsawin Band, Esther Pennell, Eight Thunderbird Singers, David Laronde Band, and more. Festival wristbands include entry to the concurrent Temagami Canoe Festival. Over 24 years, NWIA has delivered theatre, dance, music, and spoken word productions and published three books of Indigenous visual art and writing. We also produce a series of community-driven artist talks, leadership and cultural workshops, youth arts projects to audiences interested in arts, culture, and the advancement of Indigenous peoples. For further information about NWIA visit nwia.ca or call 416-598-4078. Native Women in the Arts partners with Luminato to open a four-part celebration of Indigenous performance featuring over 60 artists! Native Women in the Arts (NWIA) is excited to announce its collaborating partnership with Luminato to co present this year’s opening night celebrations. Tributaries, conceived by Creative Producer Denise Bolduc with NWIA’s Erika Iserhoff as Associate Producer, pays homage and respect to Indigenous creativity, presence and voice in celebratory, large-scale experience in Toronto. Tributaries features over 60 artists who pay tribute to the resilience and power of Indigenous women, land and water. Featured artists include Lila Downs, Tomson Highway, Northern Cree, Laura Grizzlypaws, Norma Araiza, Duke Redbird, Cris Derksen, Iskwe, Jennifer Kreisberg, Cheri Maracle, Tanya Tagaq, Leanne Betasamosake Simpson, Jeremy Dutcher, Melody McKiver, Bear Witness, Lido Pimienta and many more! Tributaries is a free event and open event taking place on June 14 from 6PM to 11PM in David Pecaut Square (215 King Street West). The evening also launches the opening of The Famous Spiegeltent at Luminato with Tributaries’ presentation of A Cree Cabaret, featuring the brilliance of Tomson Highway. From 7 p.m. onwards, David Pecaut Square will come alive as Tributaries moves outdoors with a diversity of performances in a four-part program: Roots, Resurgence, Reclamation, and Emancipation. OPENING: A Cree Cabaret, 6 – 7 p.m.
FREE By reservation only as limited seating available. Click here for more information or to book a seat. Tomson Highway is a world-renowned Cree playwright, composer, musician, novelist and language advocate. His best-known works include the plays The Rez Sisters, Dry Lips Oughta Move to Kapuskasing, The (Post) Mistress, and his best-selling novel, Kiss of the Fur Queen. This program features highlights of Highway’s musical canon performed by Highway on piano with vocalist Patricia Cano and Marcus Ali on saxophone. A Cree Cabaret is a lively, world-class cabaret and the opening show in The Famous Spiegeltent. PART 1: Roots, 7 – 8 p.m.
Alberta-based seven-time Grammy-nominated Northern Cree and recent winners of The Lifetime Achievement Award (Indigenous Music Awards, Manito Ahbee Festival, Winnipeg) launch the evening’s outdoor program. Considered the world’s premier Pow-Wow singing group and the undisputed ambassadors of Round Dance music, Northern Cree open the evening, welcoming audiences to join them in the centre of the square. Following their opening song, multidisciplinary artist, cultural intellectual, and celebrity, Dr. Duke Redbird, through spoken-word will present a new commissioned poem paying tribute to the land, and the traditional and territorial Nations. Continuing to inspire togetherness and goodwill, Northern Cree returns to the stage with their distinctive popular rhythms. In this last half hour, Laura Grizzlypaws and Norma Araiza enter the square performing their rarely seen dance styles. Grizzlypaws, of the St’át’imc Nation (BC) and Bear Clan, has a creative, metaphorical relationship of the spirit of the bear. Feeling his/her pleasure, pain, anger, hope and freedom, she dances the Bear Dance. Norma Araiza, Yoeme (Yaqui) (Mex), the feeling of freedom by honouring the natural world and the white tail deer through her presentation of the Yaqui Deer Dance, or La Danza del Venado. PART 2: Resurgence, 8 – 9 p.m.
Part two of Tributaries programming, Red Tidal Resurgence reflects the emergence of voices representing the power and resilience of Indigenous women. Created specifically for Tributaries, this new production features solo vocal performances by Iskwe, Jennifer Kreisberg, Cheri Maracle, Leanne Betasamosake Simpson and Tanya Tagaq, supported by a seven-piece band and a nine-member choir led by operative tenor, Jeremy Dutcher. Musical Direction and arrangement is driven by the vision of cellist and composer, Cris Derksen. The song list directly links to the Tributaries themes and includes existing work by each solo artist, Jeremy Dutcher and Cris Derksen. PART 3: Reclamation, 9 – 10 p.m.
One of the world’s most singular voices, Lila Downs (Mixteca) brings poignant storytelling that transcends all language barriers. Raised in Minnesota and Oaxaca, this global superstar’s exquisite artistry bridges traditions from across the Americas, with influences ranging from the folk and ranchera music of Mesicao and South America to North American folk, jazz, blues and hip-hop. As a passionate human-rights activist, Lila’s lyrics often highlight issues relating to social justice, sharing stories that too often go untold. PART 4: Emancipation, 10 – 11 p.m.
Tributaries culminates with a DJ-VJ “Call & Response” interaction across David Pecaut Square with Bear Witness (Cayuga) and Lido Pimienta (Afro-Columbian, Wayuu). These two dynamic artists will call on each other to express messages through music, visual imagery and vocals (Pimienta). Each artist will demonstrate their distinct style in response to Roots, Resurgence, Reclamation and Emancipation. Joining the stage are dance performers, Krystal Riverz, Siez Swift, Briskool, John Hupfield and JayRobi. Lido Pimienta (aka Soundsister) is a Toronto-based interdisciplinary artist who exists in a roulette of musical journeys from traditional Columbian percussion to darker avant-garde electronica soundscapes united by her explosive yet heart-warming voice. 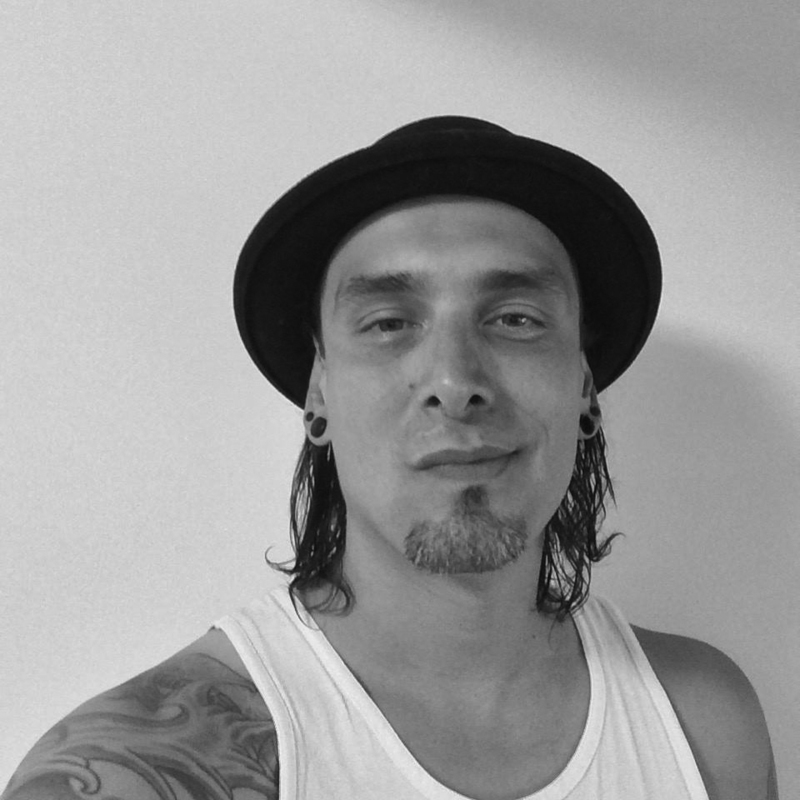 Bear Witness is a multimedia artist, DJ, filmmaker, producer and member of electro-rap DJ collective, A Tribe Called Red (ATCR), based in Ottawa. He remixes appropriated images and sound to claim visual sovereignty over Indigenous representation and imagined Indigenous futures. Bimmadiziwing Tattoo Parlour: Red Pepper Spectacle Arts will offer the emblematic image of the Ode’min/Heartberry in the form of an airbrush tattoo. Free to attending public. Luminato’s opening night is presented by Ontario150 and TD Bank Group. Denise Bolduc is an accomplished creative leader recognized for her significant contributions and involvement within a multitude of diverse arts disciplines locally, nationally and internationally. Notable projects: Beyond 150 Years: An Acknowledgement of Indigenous Film (Vancouver, BC 2017), Miiyuu Pimaatswin (Native Women in the Arts, TO 2016), Songs in the Key of Cree (TO, 2015), Maadaadizi/Summer Journeys (Grand Finale, Pan Am Games Art Relay, TO, 2015), Thunderbird Marketplace (One of Kind Show, TO, 2014), and as the founding Artistic Director, Planet IndigenUS (2004). She is a sought after guest speaker/presenter, host and moderator, an instructor with the Centre for Indigenous Theatre, a consultant, and a mentor to numerous artists and arts leaders. Denise is a member of the Batchewana First Nation / Lake Superior Anishinaabeg. 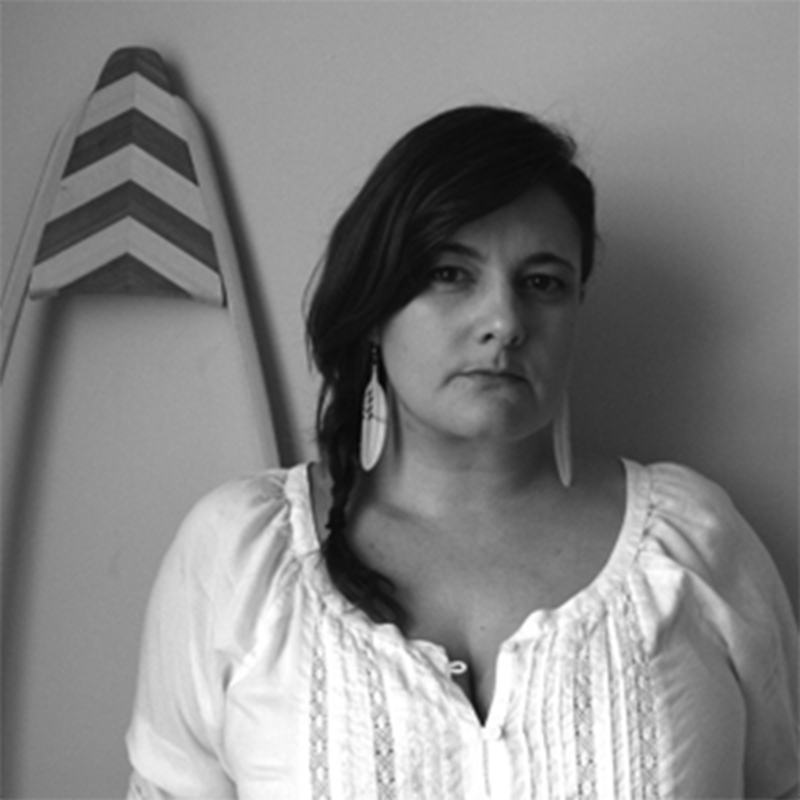 Erika A. Iserhoff is an multi-disciplinary artist of Omushkego/Eeyou Cree ancestry and is a member of Constance Lake First Nation. She is the current Artistic Producer for Native Women in the Arts, and is founding member of the Chocolate Woman Collective, and the Co-Artistic Director for the Setsuné Indigenous Fashion Incubator. Erika works to collaborate with artists, communities, and reflect Indigenous cultural practices within her art and design work. She is a graduate from the OCADU with a degree in Material Arts & Design where she now teaches as a sessional professional within the Indigenous Visual Culture Program. She also has a Dora Award for Outstanding Costume Design for the play Agokwe by Waawaate Fobister (Buddies in Bad Times Theatre, 2008). Quach George is originally from Shawnee, Oklahoma with roots from the Absentee Shawnee Tribe of Oklahoma and Mohawks of Akwesasne. Quach has worked as a producer, stage manager, event promoter, stylist and designer for various events nationally. Having previously worked with imagineNATIVE Film + Media Arts Festival, as part of the events team and for the art exhibit Indian Giver exhibition (Setsuné Indigenous Fashion Incubator Collective, 2016). She is a Aboriginal Cultural Ambassador with experience in educational programming and facilitation, visual and performance arts, as well as heritage interpretation. With a love for all things art related, Quach is committed to offering the Indigenous community with quality programs that offer a resurgence and preservation of Indigenous arts and culture. Opening this year’s festival is a double bill of stories addressing the double meaning of labour. Both provide intimate accounts of birthing practices in Central American communities and they are equally concerned with doing so from the perspective of women. Yet, each film also explores the way the roles of several members in these communities take on new responsibilities. From indigenous midwives struggling to impart ancestral knowledge about child rearing in a world facing increasing health risks, to the tale of a shepherdess put in charge of her household’s livelihood while her mother writhes in the throes of childbirth, these films become testaments to labour’s transformative power. Drawing from eclectic filmic styles including stop-motion animation, pseudo-public service announcements and testimonials, sometimes within a single film, this program features and celebrates the contemporary output of indigenous cinema. Collectively, the films presented grapple with the overarching question: how are indigenous communities appropriating a western medium such as cinema to express their lifeways? In many of the films young and old partake in creating a visual representation that reflect a vast cultural history, narrative traditions, and understanding of the known world. These films, mostly created by collectives, alter the age-old paradigm of the auteur as a lone genius. 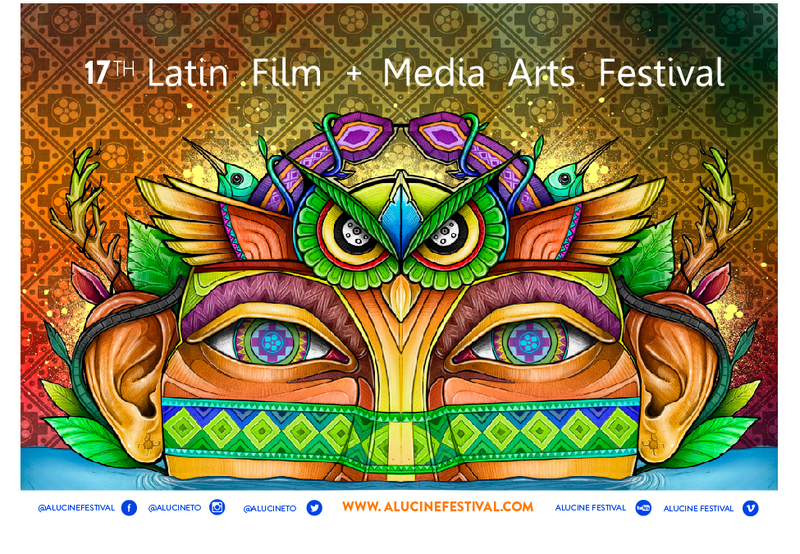 The aluCine Toronto Latin Film + Media Arts Festival is Canada’s longest-running Latin film festival. The festival functions as a vital Canadian outlet for emerging and established Latin filmmakers living in Canada, Latin America and the diaspora, while our year-round screenings, symposiums and workshops promote the development of Latin film and culture in Toronto. 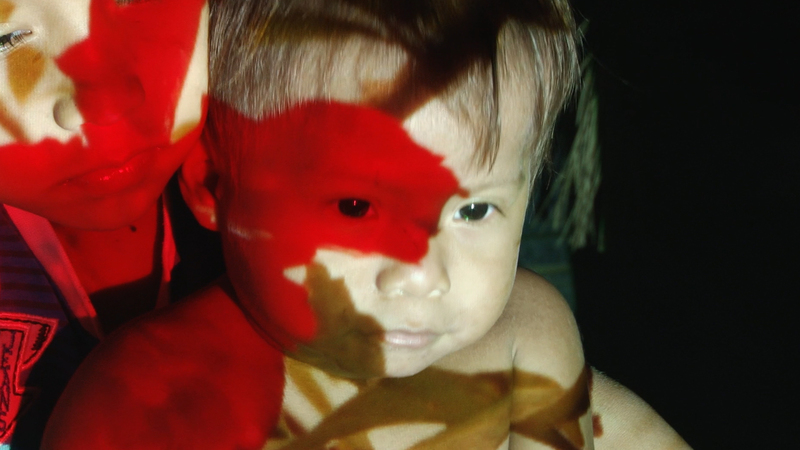 In all of its endeavours, aluCine strives to transgress aesthetic, ideological and geographical borders and to transcend pre-established notions of representation as they pertain to Latin American culture in Canada.